Association Divadelná Nitra together with its partners announce an open call for young theatre critics from BELARUS, CZECH REPUBLIC, HUNGARY, MOLDOVA, POLAND, ROMANIA, SERBIA, SLOVAKIA, UKRAINE to take part in the V4@THEATRE CRITICS RESIDENCY 2018. 7-day residency under the mentorship of Patrice Pavis (France) at the Divadelná Nitra International Theatre Festival 2018 open to young theatre critics up to 35 years of age. 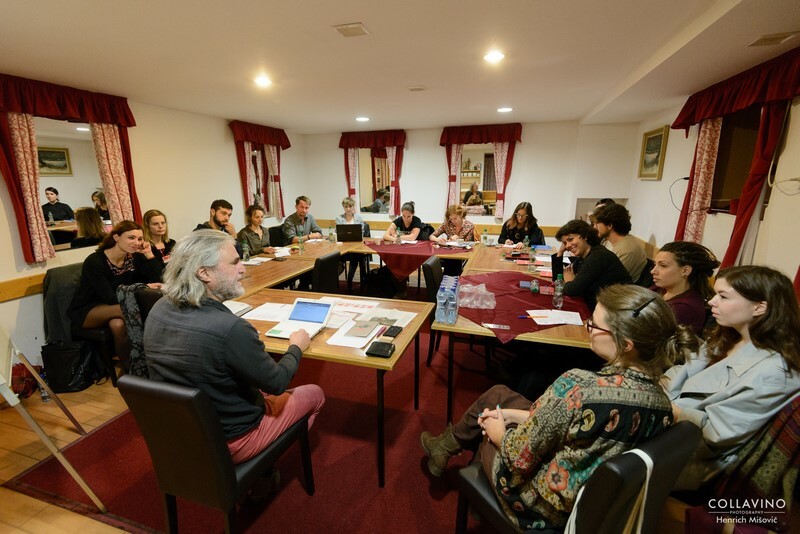 V4@THEATRE CRITICS RESIDENCY is a creative platform for young theatre critics who will, under the leadership of world-renowned theatre theorist Patrice Pavis (France), attend the 27thedition of the Divadelná Nitra Festival. Participants will follow the main programme of the festival and they will work together with Patrice Pavis as their mentor, mediator and facilitator. The participants will be tasked to prepare and make a presentation about the current situation in the performing arts scene in their country, to publish an article which can take the form of review about the Divadelná Nitra performances or interview with artists presented at the festival. They will also attend and participate in artist talks with selected artists and each day they will work with Patrice Pavis, discussing and reflecting on the productions they have seen. The project has been made possible thanks to main partners International Visegrad Fund and Slovak Arts Council.